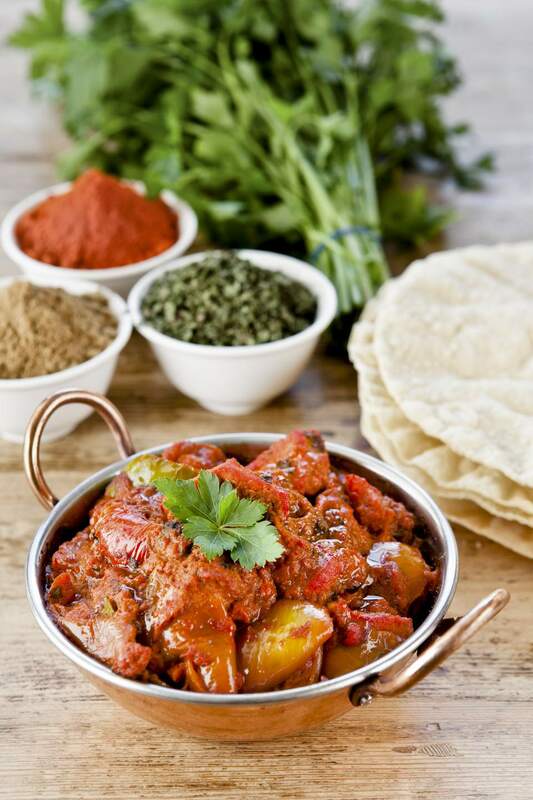 Vindaloo masala is spicy paste typically used in Indian pork curry dishes, but it tastes just as good with chicken. This recipe makes enough Vindaloo masala to prepare a dish that serves four. Vindaloo is a popular dish in​ Goa, a state on the southwest Indian coast. "Masala" is the Hindi term for "seasoning." Put all the ingredients except the vinegar into a food processor. Add the vinegar a little at a time as you grind the ingredients into a thick, smooth paste. Use the masala immediately or store it in a clean, dry container in the refrigerator.